Printhead is designed for use with Hewlett-Packard Designjet 10ps, 20ps, 50ps, 30, 30n, 90, 90gp, 90r, 120, 120nr, 130, 130gp, 130nr and 130r. Enjoy precise image detail and excellent gloss uniformity. 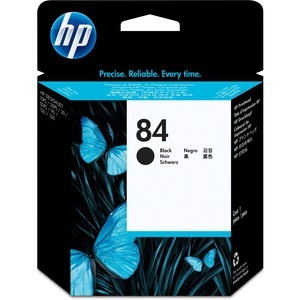 The long-life HP 84 Black Printhead works with patented, dye-based HP ink in the HP 84 Ink Cartridge to produce standout results that are easy and reliable, providing an excellent value.